Jerusalem is a city of contrasts and contradictions. Jerusalem is a city of contrasts and contradictions. It’s modern and ancient, rich and poor, young and old, colorful and black and white. It’s a city divided in so many ways. Yet, there exist so many wonderful programs that look to be inclusive. I visited 2 of them today. Dean Ismail and I first went to the DVI clinic. He toured the facility, met the staff, director and the volunteers. He saw children of all ages being cared for. 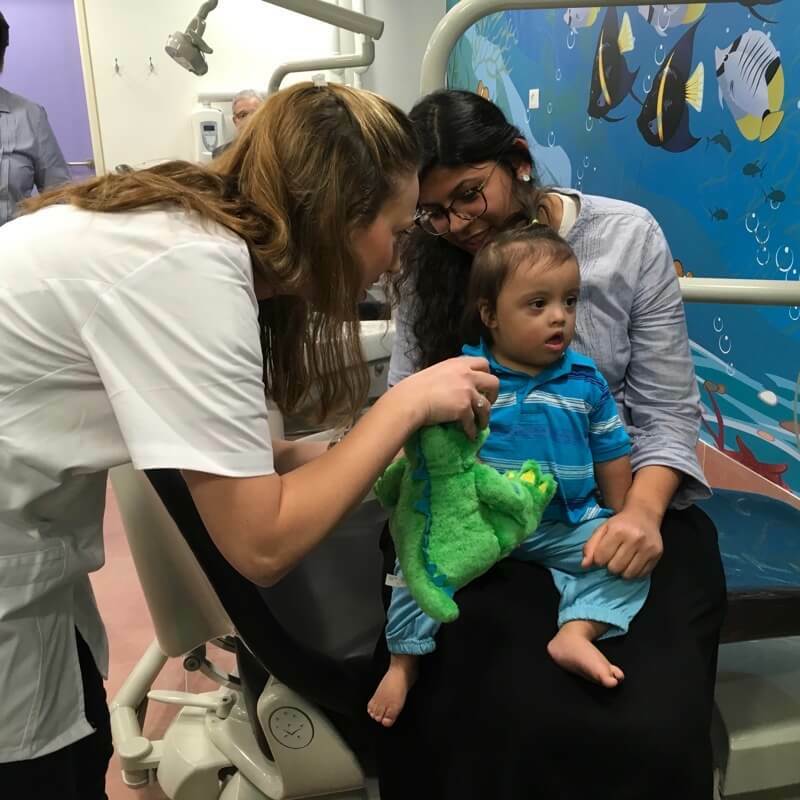 The DVI vision of oral health education and care for all regardless of ability to pay or any other differentiating factor is an vision he holds dear. We then went to the Shalva center for the disabled. Kalman Samuels led us on a tour of an amazing facility and program. What has been accomplished and what goes on within this beautiful, state of the art facility is truly impressive and inspirational. While we were being given the tour however, the chaos, so prevalent in this part of the world crept in. Kalman’s son Yossi (also disabled (blind and mute), was in a car, not far from Jerusalem that was struck by a thrown rock. Fortunately, Yosssi wasn’t hurt as the windshield was shattered. Yossi however was quite shaken. Terrorism is a constant presence here. There are many extreme factions that seek to stifle conversation, discussion and promote separation rather than dialogue and inclusion. Places like DVI and Shalva are, in my opinion, the antidote. Certainly, they are a step in the right direction. I’ve yet to work out how to merge the DVI, Shalva and Bridge to Peace programs. My friend Dean Ismail will come up with the plan. He’s a brilliant visionary. I’m blessed to be spending so much time with him. 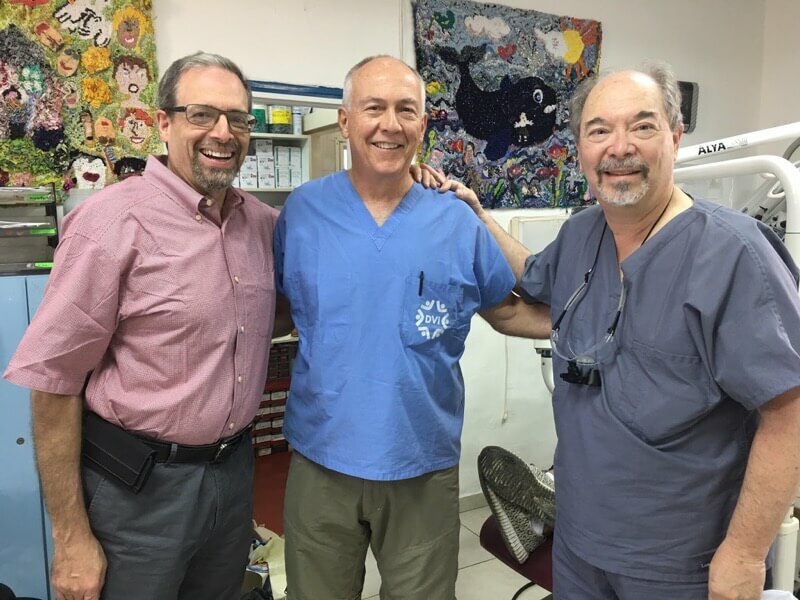 Later I met with Dean Aharon Palmon of Hadassah’s Dental School. 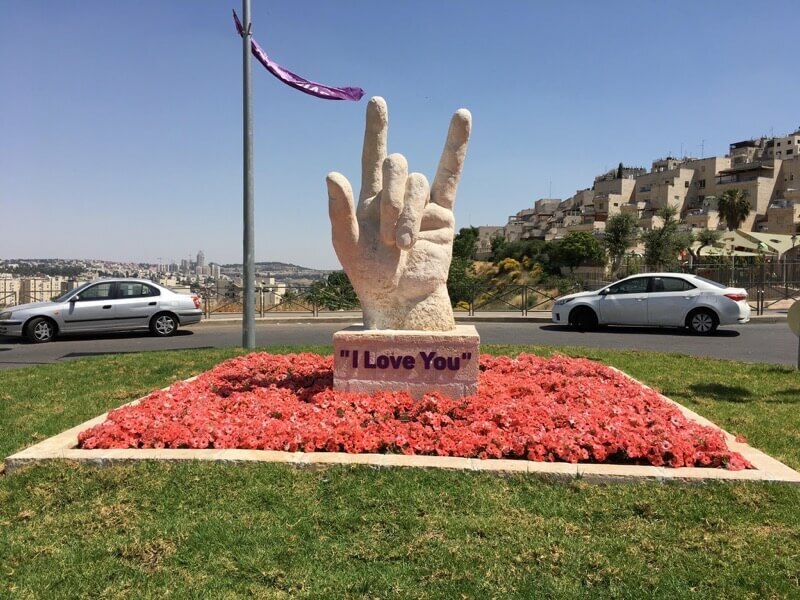 We’ll be together again on Thursday at the Public Health Conference in Nazareth. 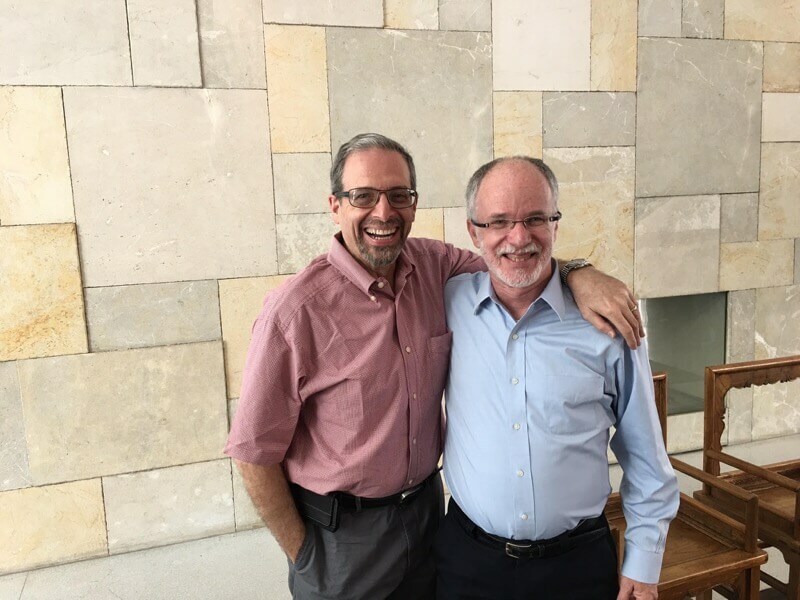 Dean Ismail and I spoke quite a bit at dinner and a plan is emerging to connect the entities we’re visiting, collaborating towards a unified vision of…Peace. 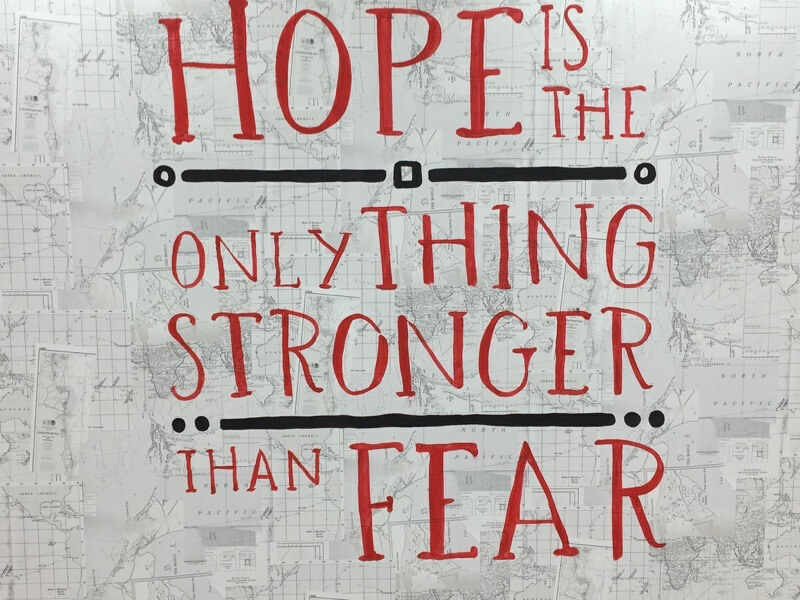 A slogan written on the wall at Shalva.